In the RWE all my demands for a high end drum are fullfilled: Not only a great design with brilliant usabiltiy, but also a universal sound. 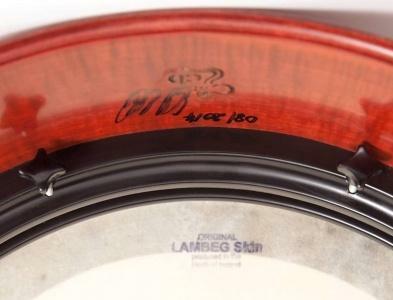 The Lambeg skins are produced using methods refined over centuries by Tommy Louden in the North of Ireland. For the RWE and the skins offered here, we choose homogeneous, not too thick skins, mostly without spine. (In some cases we use skins with the spine, but only if the spine is thin and unobtrusive). The skin reacts quickly and has a great range of tones. The attack is very present, esp. compared to a softer skin like a DragonSkin. 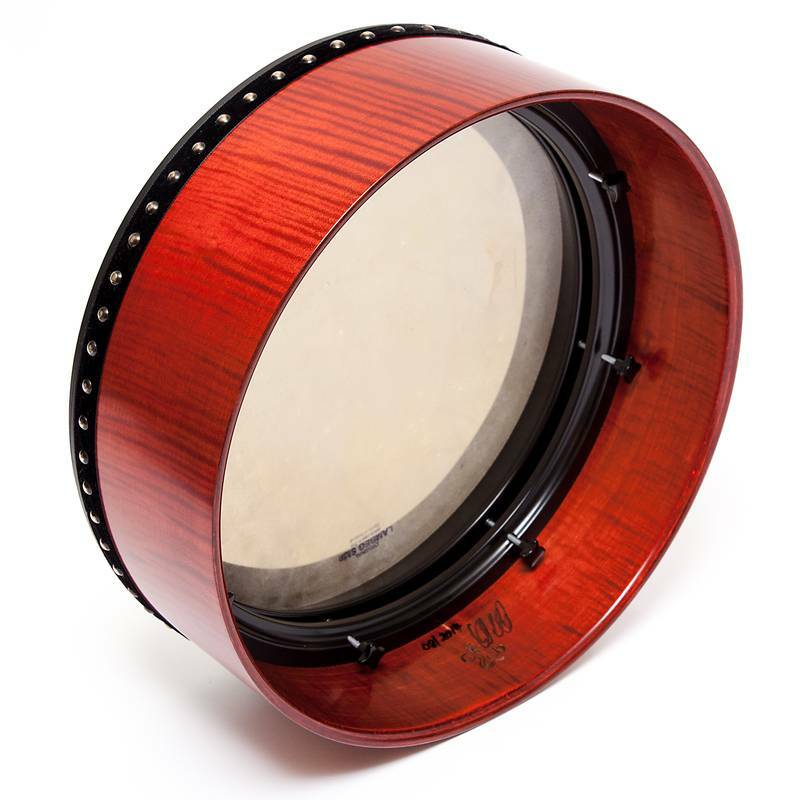 This means the RWE-Lambeg skin works great for traditional playing but also gives the full range for top end style. 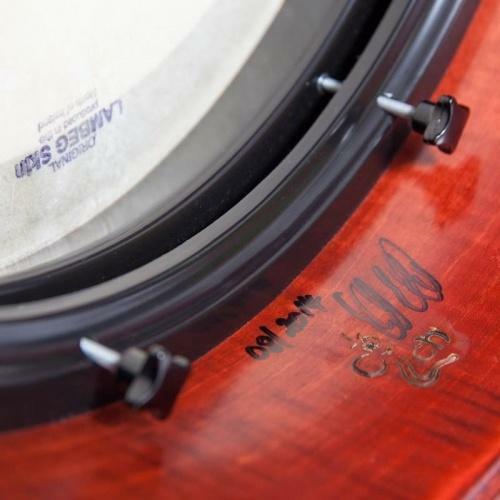 It's a lively drum, easy to change tones, and gives a lovely feedback to the stick and to the player. Great attack and enough overtones for harmonic playing, but not too many overtones that wouldn't allow the occasional open bass playing. 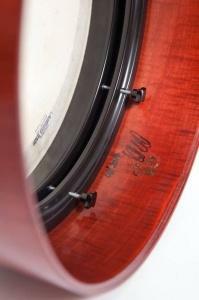 The innovative isolatHED techology and the compressor tuning system help a lot to get the desired sound! The compressor tuning frame is a funnel shaped, relatively high tuning rim which influences the overtones and the overall frequencies of the bodhrán in a positive way. By now, people like Eric Cunningham (Frankie Gavin & DeDannan), Eamon Moloney (Full Set) Kieran Munnelly, John Joe Kelly (Flook), Eamon Murray (Beoga), Jimmy Higgins (Altan & Lunasa), and Stiofan O'Brion play the RWE regularly.